Dawson Public Power District » Need help with bills? 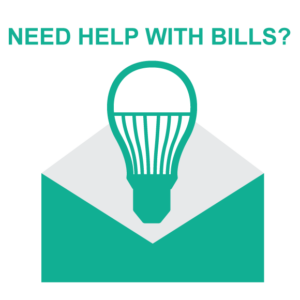 Need help with bills? LIHEAP and Weatherization Programs are available to those who qualify. The U.S. Department of Energy’s Weatherization Assistance Program installs energy efficiency measures in the homes of qualifying homeowners free of charge. The Community Action Partnership of Mid-Nebraska administers these funds. The mission of WAP is to reduce energy costs for low-income families, particularly the elderly, people with disabilities, and children, while safeguarding their health and safety. Weatherization is available to homes that are owned or rented (with landlord permission), and the structure may be frame or mobile. The Department of Health and Human Services Low Income Home Energy Assistance Program helps low income households pay for heating and possibly cooling their homes based on need. It does not pay for all energy costs, like security lights, and will most likely not cover the cost of the entire utility bill. In an emergency or crisis situation, individuals may qualify for one-time assistance. Has a severe illness or condition which is aggravated by extreme heat as verified by a medical statement signed by a licensed healthcare provider. DHHS has purchased an air conditioner for the household within four years of the current application date.